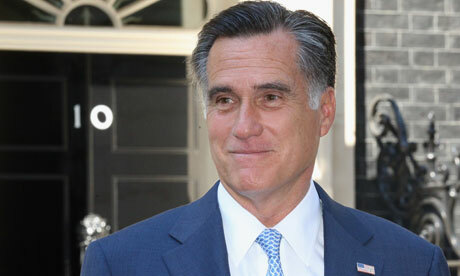 Mitt Romney – Republican Presidential candidate (presumptive) – made such a fool of himself in London that your fellow Americans living here cried out in pain …. (Boris – the Mayor of London is – like myself and a good many others – a dual-national). It’s one thing to insult your host from ignorance (we’d like to give Mitt the benefit of the doubt as was done with GW Bush), but it’s another altogether to do so out of arrogance – an arrogance so grevious – that the Prime Minister felt compelled to reply (although it’s likely that the full impact of this went over Mitt’s head – and that’s the best part). In an increasingly ‘global economy’ in which the US wishes to be a big – if not the biggest – player, then (contrary to apparent popular belief) – it’s not just about the voters ‘back home’. Everyone – including a superpower – needs more friends than enemies. This is especially the case when America’s position as said superpower is no longer completely secure. Hadn’t thought of it that way… perhaps you’re right! But the most interesting thing is that he switched his opinion ASAP when he realised he’d put his foot into it… so I can’t believe he’s doing the reputation of snakes much good! PS – heard anything about exam grades or feedback from Victor?